Next week NPMA will be conducting its first ever electronic balloting for the 2014-2015 Board of Directors. 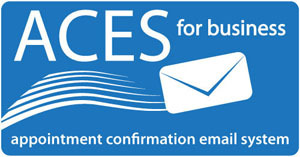 To ensure you have the opportunity to vote, please make sure we have your proper email. Contact Jessica Dominguez at jdominguez@pestworld.org if you need to update your information. 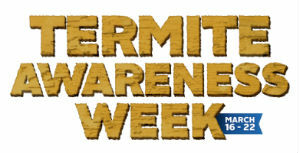 Happy Termite Awareness Week! Are You Spreading The Word? The Professional Pest Management Alliance (PPMA), which serves as the public outreach arm of NPMA, is celebrating Termite Awareness Week, March 16-22. This annual and national designation recognized by Chase’s Calendar of Events, coincides with start of spring and the home buying, selling and maintenance season. Through a variety of means, PPMA aims to educate the public about the property threats posed by termites and how to help them best protect their biggest investments — their homes. "While our industry is well aware of the cost and damage associated with termite infestations, the general American public is not," said Missy Henriksen, executive director of PPMA. "We invite our members and the industry as a whole to work together to help educate consumers about termite prevention, the importance of having an inspection and calling a pest professional to handle the treatment." PPMA plans to reach consumers through traditional and social media channels and is asking pest control companies to join the cause. "We have developed a toolkit for our investors containing a customizable press release, suggested social media posts, photographs and other materials to help companies communicate with their customer base," said Henriksen. All materials are available to PPMA Guardians and Contributors on PPMATools.org, the group's exclusive marketing hub for investors. For more information about PPMA and its marketing programs, please visit www.NPMApestworld.org/PPMA. Under the current OSHA injury and illness recordkeeping regulation (29 CFR 1904), covered employers with 10 or more workers are required to prepare and maintain records of occupational injuries and illnesses, using the OSHA (or state specific) 300, 301 and 300A Logs. Currently, employers are not required to submit these records to OSHA, unless specifically asked to do so. According to OSHA, in the November 2013 proposed rule, establishments with more than 250 employees would be required to electronically submit their injury and illness records to OSHA on a quarterly basis. In addition, establishments with 20 or more employees, in certain industries with high injury and illness rates, would be required to electronically submit their summary of work-related injuries and illnesses to OSHA once a year. OSHA's proposed rule is objectionable to the pest management industry for several reasons. Thus, last week NPMA submitted comments to fight the proposed changes. Click here to read more. Researchers from Rockefeller University, led by Conor McMeniman, recently made advancements in the knowledge of host-seeking behavior of yellow fever mosquitoes (Aedes aegypti). Through the use of genome-editing techniques, the scientists were able to create mutant mosquitoes that were unable to detect CO2, which has long been known to be an attractant for mosquitoes. By removing one known attractant, the research team was able to focus on two other factors: heat and lactic acid, detected by mosquitoes as an odor emitted by humans. When heat and lactic acid were individually tested for mosquito attractiveness in the absence of CO2, the mutant mosquitoes did not respond like normal mosquitoes. These findings indicate that multiple factors must be present to elicit a host-seeking response from normal mosquitoes in the field. It was proposed that this is an energy-saving behavior used by female mosquitoes to avoid flying toward non-hosts that may be emitting one potential attractant. This research was published in the February 2014 issue of the journal Cell. Click here to learn more about mosquitoes. 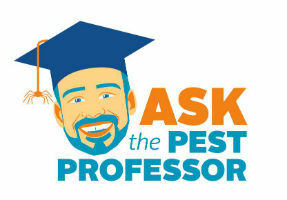 NPMA's Professional Pest Management Alliance (PPMA) has posted the first of several new videos entitled Ask the Pest Professor to the industry's consumer site PestWorld.org. Each video, featuring Dr. Jim Fredericks, offers a question and answer format responding to many of the most common queries posed about pests. Twenty-three additional episodes of the series will be posted to the site and to YouTube over the next several months. New Jersey Legislation Assembly Democrats L. Grace Spencer, Cleopatra Tucker and Shavonda Sumter sponsored to provide additional tools for landlords and tenants to address bedbug infestations was released by an Assembly committee. The legislation was initially crafted after news reports detailed severe outbreaks of bedbugs in several Hudson County apartment complexes in New Jersey. In these instances, the tenants, some of whom had nothing to do with the initial infestation, were being charged for extermination. The U.S. House Agriculture Committee last week approved legislation NPMA has long supported exempting lawful pesticide applications from Clean Water Act permitting requirements. The full House of Representatives approved the legislation last year as part of the lower chamber's version of the Farm Bill. The Senate Farm Bill, however, did not include such a provision and it was not part of the Farm Bill that was signed into law in early February. A bill amending the registration requirements for Utah pest management professionals and other pesticide applicator businesses cleared the Utah Legislature last week and is being considered by Governor Gary Hebert. Click here to read Senate Bill 231. The Oklahoma Senate last week passed legislation changing the threshold level for soil residue of pesticide concentration for post construction termiticide treatments. Click here to read Senate Bill 1884 and related information. A Minnesota lawmaker recently introduced legislation relaxing state law preempting local governments from regulating pesticides. Under House File 2799, Duluth, Minn., Rochester and St. Paul would be permitted to regulate the use, application or disposal of pesticides. Click here to read the legislation and related information. The Nevada Department of Agriculture recently proposed rulemaking defining the term "spot treatment"; amending existing requirements governing the submission of wood-destroying pests inspection reports; revising fields of licensing, insurance limits, examination requirements for principals and operators, and provisions pertaining to pest control business locations. Click here to read the entire proposal. Last week EPA awarded more than $500,000 to facilitate integrated pest management in schools. EPA believes the funding will help reduce student’s exposure to pests and pesticides in the nation’s schools while saving money, energy and pesticide treatment costs. Three groups received grants: Texas A&M AgriLife Extension, The University of Arizona and Michigan State University. The Texas A&M Agrilife Extension project will develop a central, internet-based hub for materials and phone apps so more school districts across the country will have the information and tools they need to adopt an IPM program. The University of Arizona will pilot a training and certification program for school staff (custodians, kitchen staff, and school administrators) in eight states and four tribes, partnering with five other universities and stakeholders. Once finalized, the training materials will be available free to schools nationwide. The Michigan State University project will directly assist 5% of Michigan and Indiana schools to adopt IPM through hands-on education, web-based training and coalition-building. Roughly 135,000 children may benefit. Click here to find out more about each of the grants. In concert with the announcement, EPA's Assistant Administrator for the Office of Chemical Safety and Pollution Prevention, Jim Jones, wrote a blog titled, Is Your Child's School Stuck on a Pest Control Treadmill? In the blog, he stresses, "Simple preventive measures like sealing cracks and openings, installing door sweeps, fixing water leaks, and keeping food in sealed containers can make a school unappealing to pests. Where preventive measures are not sufficient to eliminate pests, the judicious and careful use of pesticides can complete your school’s pest control strategy." Click here to read the entire blog. National Poison Prevention Week, March 16 through 22, is a great time to remind your employees to be cognizant of how they wash and store their clothes, shoes and other items that may be exposed to pesticides or other substances during the workday. To review routes of exposure to work hazards and ways to avoid them, see more at Training Daily Advisor powered by BLR. On April 4, A Child's Hope, an organization founded by Raleigh Jenkins that focuses on supporting abandoned children of Haiti, will be hosting a gala in Houston, TX. The purpose of the gala is to raise funds to begin several construction projects. The organization hopes in the next three months to rescue ten children off the streets of Port-au-Prince by July. Click here to learn more.